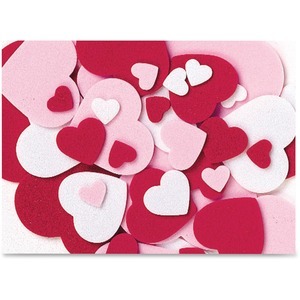 WonderFoam Peel and Stick Hearts are great for Valentine's Day, birthdays and any type of celebration or craft activity. Set includes durable foam pieces shaped like heats in various sizes. Heart comes in white, red and pink. They are easy to use with self-adhesive backs. Simply peel and stick to your creation.